Do you want your kids living their best lives at home and at school? Our guest, Stacy Manning, believes in that goal. 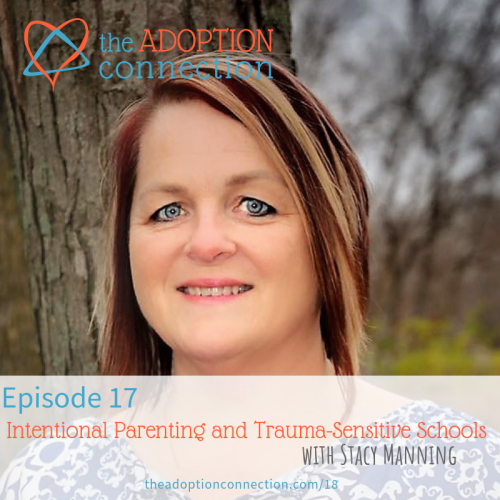 Stacy adopted from Russia back before we were talking about trauma-informed parenting. She researched and found information on her own, which led her to develop resources and support groups for other parents. Her newest area of interest is supporting educators and providing them with the knowledge and tools they need to be trauma-sensitive teachers. We loved hearing about that, and we know you will too. This week Lisa and Melissa talk about why kids lie about silly things and what to do about it. Click here to watch the video Melissa refers to about lying.